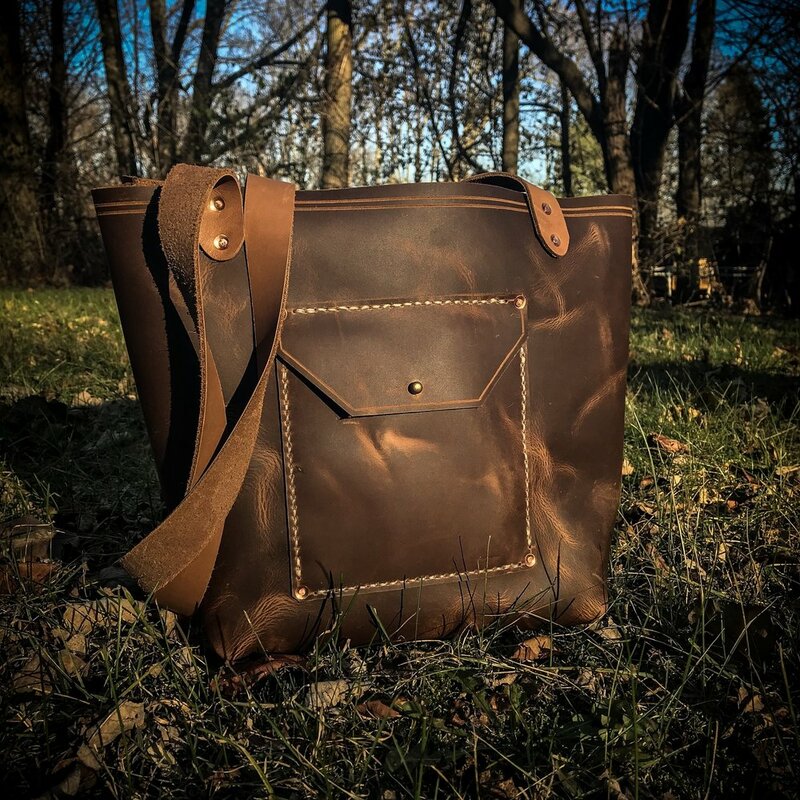 Here at Black Crow Wood Craft we make quality leather goods. We take custom orders along with our current in-stock items. All of our products can be personalized with names or initials. We work with our customers to help design and create a quality item that will last a lifetime. All of our items are hand cut, tooled, dyed, and stitched in our shop. We use quality veg-tanned leathers in the majority of our projects. We will also occasionally have premium leathers in our shop, but they will be on a limited basis due to availability. Please contact us for any questions on custom items.